The author refers to S. Leczycki's paper (published in vol. 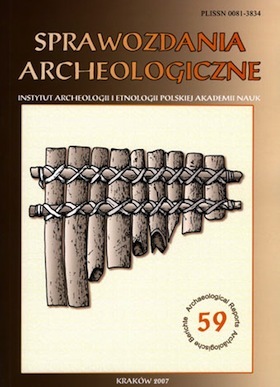 57 of Sprawozdania Archeologiczne) on Eneolithic copper axes from the Central Silesia. An item from Ruszkowice was presented there and misdefined as one of the Plocnik type. Owing to photos found in the State Archive in Wroclaw the artifact has been reanalysed and ranked to the Crestur type.